I vividly remember the day my Mom handed me a “What To Do On Rainy Days” book during the summer holidays one year. I was 11 years old and it wasn’t raining, what a joker right?! I put it to one side and promptly forgot about it. Skip forward 5 weeks and there it was, sitting on the side unassuming and smug, it was raining outside! I reluctantly picked it up, skimming past the activities until I found a brightly coloured page teaching you how to juggle. Hilariously that was the day I made myself 3 balls from socks and rice and taught myself to juggle. To this day, I still can. Thanks Mom! 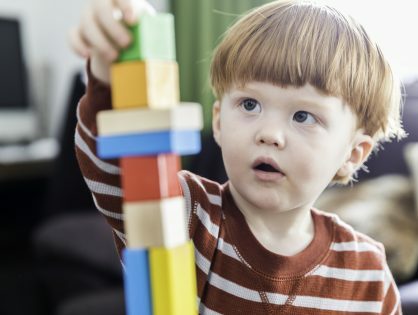 There’s a real balance between letting children get bored and getting creative and letting children get bored and wrecking the house. The myriad of variables at play can tip that balance one way or another in a flash. The weather, how hungry they are, how tired they are, how much time they’ve spent indoors, in front of the TV, how active they’ve been and so much more. We’re now in an age of instant gratification. Where Amazon whizzes things to you in 24 hours (or even less in the cities) and the App Store is stocked full of a never ending supply of distractions. Never before have we had a constant flow of information quite so readily available. Being a parent we fall into the same traps, we now feel like we constantly need to fill our children’s time. Educational books, toys, activities, classes and more. And if we for a moment fail to prepare something to fill that empty 10 minute window of the day we begin to get that all too familiar parent guilt. Many parents feel a sense of panic when they hear their child utter the words “I’m bored”. Firstly, relax. There are a few elements to remember. The first time they say those words, they probably have no idea what they even mean, or at the very least they have no idea what the concept of boredom is. Up until that point, you’ve more than likely filled their days with classes, days trips, toys, and attention. Children begin to pick up on the concept of boredom from older children. Secondly, it’s ok for you to have an unscheduled day, week or maybe even longer! Letting children “get bored” shouldn’t be a negative. It should be an incredible opportunity for those amazing little brains to fire up and be used in new ways. Drawing on the knowledge they’ve already gathered and putting it to the test. As parents we need to take a step back from snowploughing difficulties from our child’s path and engage with them on a simple level, helping them work through the challenges. When you create a space which is safe and accessible to children, you’ll be amazed at the depth of play they achieve. Be patient though, if your little one is used to being scheduled up to the brim, it may take some time for them to re-set and find their feet. You may find some resistance at first but hang in there and your little one will soon begin to see the opportunities in front of them. In those moments of downtime where children begin to show the signs of being bored, embrace it for a moment. Watch how they begin to switch to a different setting. See how their hands manipulate objects differently, do they study them for longer or do they get frustrated and launch them? Judge the moments as they come. Perhaps suggest an obstacle course around the house not touching anything white? Could you see if they can invent a 5 headed dragon which only eats cucumber? Here’s a fantastic opportunity for you to get creative too! Studies have show that creativity and thinking on your feet have a positive impact on brain health. By staying half a step ahead of your little one you’ll have the chance to promote the positive impact of “being bored”. Your job isn’t to fill their boredom void, it’s to ignite a tiny flame and see the fire emerge. These moments of boredom will put your child in a great place for the future, learning to work through difficult moments rather than avoiding them. Next time you see your little one begin to show the signs of being “bored” relish in the knowledge that you’re about to witness your child achieve something great.